Salman Khan Films showcases the year's most awaited teaser to fans first! Mumbai, May 4th, 2017: Social media has been abuzz with queries about the Tubelight teaser. Whether it was Salman tweeting the countdown to the launch and showcasing his bond with his brother Sohail or his little friend Matin, the makers peaked the curiosity of the audiences worldwide with a number of images unveiling different looks of the film. From tweets to posts, fans were waiting with bated breath to watch the teaser featuring their favourite actor! To thank them for their constant outpour of love, director Kabir Khan hosted a special screening of the much awaited teaser in the presence of fans at a suburban theatre. The makers ran a contest where Salman fans were selected to watch the teaser of the film for the first time. Excited and eager, the fans sat to watch the screening. The entire auditorium was filled with hoots and cheers. 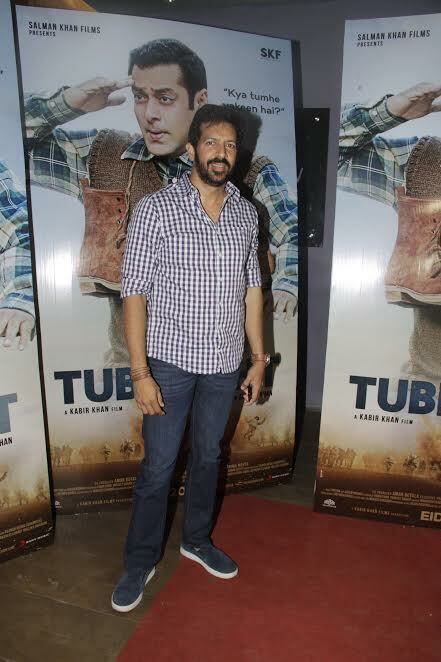 Kabir Khan was seen interacting with every fan and taking feedback. Salman Khan truly never disappoints his fans!